The remedy for Rav Abahu's ear pain, then, was to fill his ear with oil, stick a wick into it, and set it on fire. The idea is that the burning wick draws out the wax, and other toxins, leaving the patient cured and rejuvinated. Talmudology strongly recommends that you do not try this at home. Although Rav Abahu (~279-320 CE) recommended ear candling long ago, it is still in use today. On Amazon you can by candles to stick in your ear, and a guide to talk you through the steps. It's easier to use Amazon than to make your own candles with alfalfa and dried garlic ends, but, scientifically speaking, it's silly. Very silly. 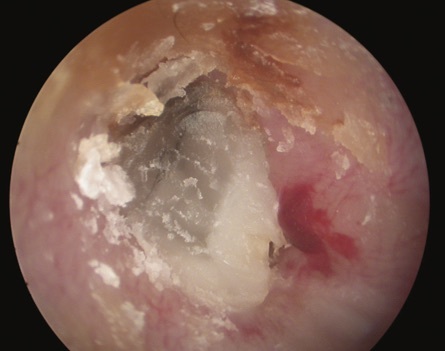 A case report from St. Mary's Hospital in London describes an elderly woman who had hearing loss in her left ear. The woman denied ear candling, which is odd, since the ear was full of what appeared to be candle wax, and "histopathological examination confirmed the material as candle wax." (You can read another medical case report, this one on ear candling in a four-year old girl, here.) The authors noted that "ear candling is widely practiced as an alternative therapy. The procedure lacks scientific explanation, is known to produce complications and should be discouraged." Is there any Science behind Candling? Still, one case report doesn't mean all that much. We need a more scientific exploration of ear candling, which is precisely what we got in a 1996 research paper Ear Candles; Efficacy and Safety. The authors, who were ear, nose and throat surgeons and audiologists (and supported by a grant from the William G. Reed Fund for Research in Otolargngology) tested the pressure that an ear candle would generate, and used a mass spectrometer to identify the contents of the candle stubs. After twenty trials using two different candle types, the authors reported that "no negative pressure was generated by any of the burning ear candles at any point during the trial." As for the contents of the burned candles "multiple analyses revealed the sample to be composed of multiple alkanes, which are found in wax candles...None of the contents of cerumen were identified." The authors also reported their results of a survey 122 otolaryngologists. One-third were ‘aware’ of ear candle use amongst one or more of their patients. Fourteen had treated complications of ear candling, including 13 burns of the auricle and canal, 7 partial canal occlusions from candle wax and 1 eardrum perforation. Dave Barry, the Pulitzer Prize winning columnist is one of the funniest writers in the business. He wrote perhaps the funniest newspaper column ever on today's topic. It's also probably the only humorous column on the topic. Dave gave Talmudology permission to reproduce it (I'm not making this up), and you can find it here. Dave also asked that readers do not circulate the piece by email or other electronic media. So read it and enjoy. Given what we know now, perhaps even Rav Abahu would have found it amusing.